Started in the UK in 1982, Expacare was created to offer coverage for the specific needs of the growing expatriate community. 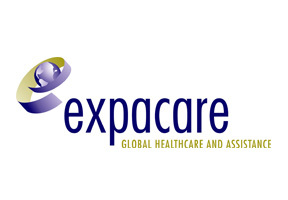 Today, Expacare continues their tradition of providing comprehensive coverage options that are both very flexible and highly mobile, which makes their coverage very popular with international employees and frequent travelers. Presently Expacare insures individuals, families and groups in over 140 countries, with a healthcare partnership network that is truly substantial. In addition to the wide array of coverage options to choose from, Expacare is also very popular for its excellent customer service which is accessible 24 hours a day, every single day of the year. So there will never be a situation where the insured is without support, no matter where they may find themselves when a medical emergency arises. For explanations of Expacare's Malaysia health insurance plans, speak to one of our qualified advisers. Reaching us is easy, either by completing an information request at the top of the page, or for faster service - click here to talk with someone immediately.